Small things count. Or rather, let’s start to appreciate that the small things count. I was in a meeting the other day with Darren Woolley of TrinityP3. 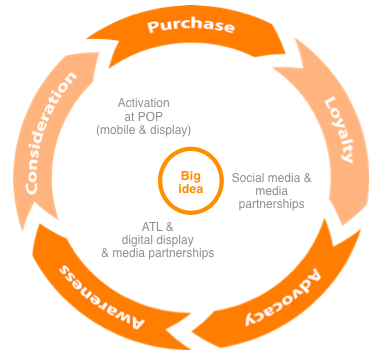 The project is an agency assessment – how to evaluate the relationships between agencies and this particular advertising client. 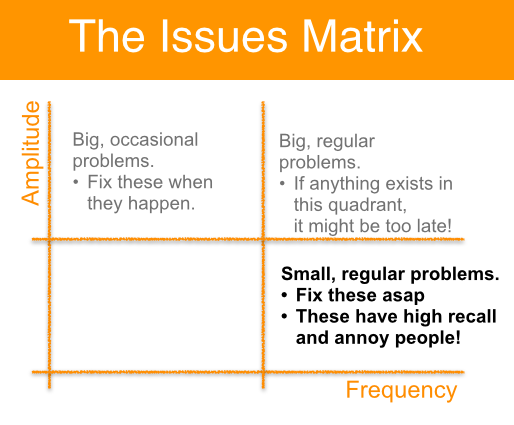 Darren talked through the Issues Matrix. Think about the little things in life. Take a plane ride for example. When was the last time you sat on a plane and had someone a bit stinky sitting next to you? You had nothing in common with the person. So you put on your headphones, sank deeper into your chair and by the time the film was half way through, you’d forgotten – for the moment – all about him. And then on the return flight the person next to you was a little old lady who hardly acknowledged you. Again, you put on the headphones and drift off in oblivion. You watch the movie of your choice. What commercial messages did you see on that trip? The bank’s video for wealth management, the sports car driving in Italy (or was it Japan?) or the pic of that Swiss watch? And you know what? The little old lady and the stinky bloke both saw the same ads. Why? Because the airline’s not tailoring its ads. Not even slightly. 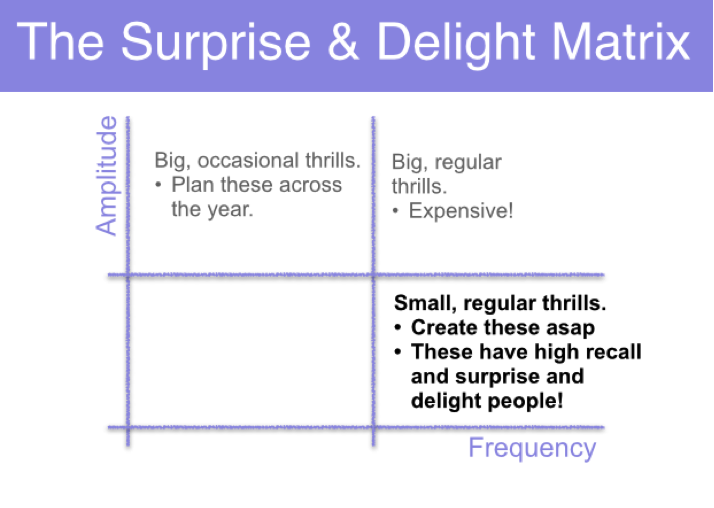 Let’s search through the data to find small thrills. And let’s create such thrills regularly. What have you seen of late that makes a journey more memorable thanks to good use of data? What has surprised and delighted you? Anton, thanks for dropping by! No brands delight you? You grumpy old man! I get delighted regularly when something makes me smile whether intentional or not. The coffee cup that says “cola is for whimps”; the free wifi when I travel; the ability to upgrade on points when flying; a bank manager or barman or air stewardess* who remembers me; the train or tram company poster that makes me hum that tune when essentially asking me to “mind the gap”- dumb ways to daahahiii; the car insurance that was a third of the price of my old insurer. But you’re right not many of those thrills are regular. And thats such an opportunity! *By air stewardess, I don’t mean in some Ralph Fiennes type way, I mean in the way that she knows my name and has a cheat sheet with my frequent flyer preferences on it. Tis all! We need more RAKtivists. Or maybe CAKtivists (according to Huffington Post), concerted acts of kindness – purposeful, collective deeds aimed at solving social and economic issues.